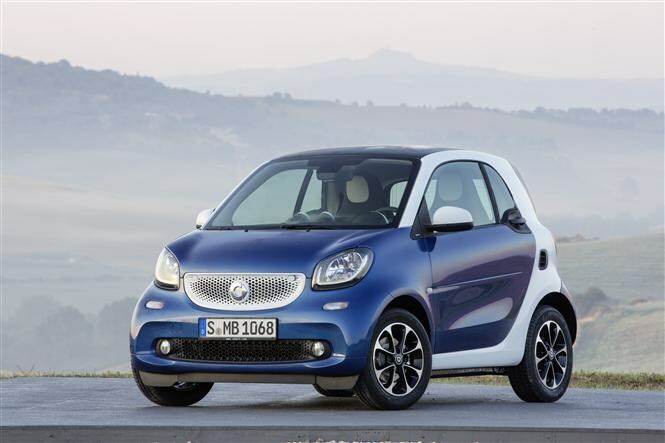 This is the next-generation Smart ForTwo, which is set to go on sale in the UK in November, alongside the larger Smart ForFour. 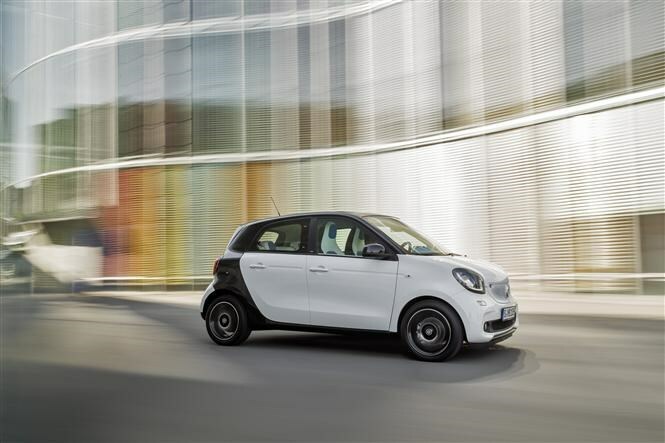 Smart says the new ForTwo and ForFour have been given major improvements over the outgoing model, making them better to drive both in town and further afield. Combining functionality and a still characterful look, the new ForTwo keeps its 2.69m length, meaning buyers can manoeuvre into any parking space with ease. The ForFour is 80cm longer. At launch, two three-cylinder petrol engines will be on offer. The naturally aspirated 1.0-litre engine produces 70bhp while the 0.9-litre version is turbocharged, producing 89bhp. This version will also offer stop/start technology further boosting efficiency. Shortly after launch a 59bhp edition of the non-turbo motor will be offered. Two gearbox options will be available: a five-speed manual and the 'Twinamic' six-speed dual clutch transmission, offering automatic changes. Four trim levels will be available from launch, with Passion, Prime and Proxy sitting above the base-level model. Even on the standard version, LED daytime running lights, remote central locking, cruise control and an LCD instrument panel are standard. Passion, Prime and Proxy models add upgraded multimedia systems, heated seats and a 3.5-inch touchscreen among other features. 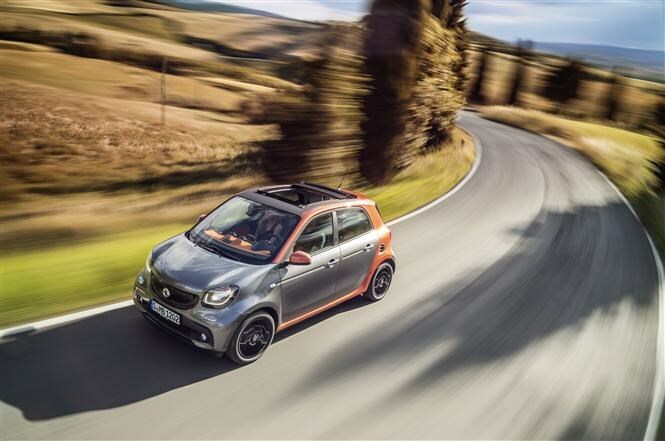 Smart will offer a special edition ForTwo and ForFour Edition #1 for a limited time at launch, which features a two-tone orange and white exterior. 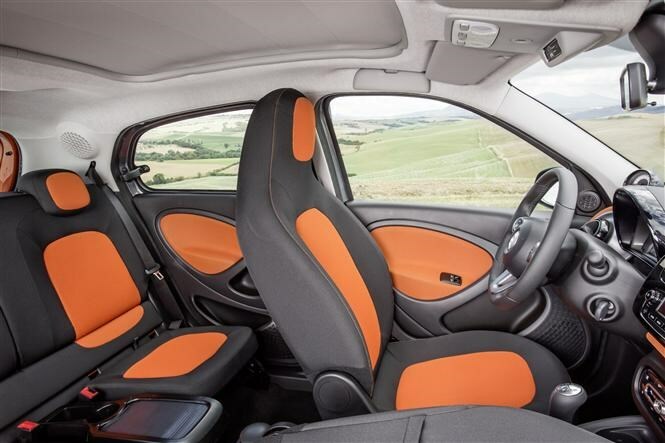 The interior of the new ForTwo and ForFour is all-new but with familiar Smart themes. Many areas that would otherwise be plastic are upholstered in bright fabrics to continue Smart’s ethos of being different. One feature carried over from the previous ForTwo is the split-opening tailgate, allowing the car to be loaded in the tightest of spaces. The larger ForFour makes do with a single-piece tailgate. 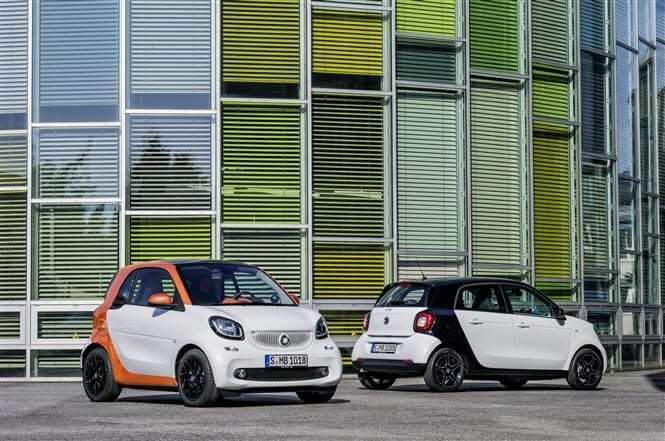 Smart is taking orders from the end of the summer, with first deliveries and showroom-ready models due in November. 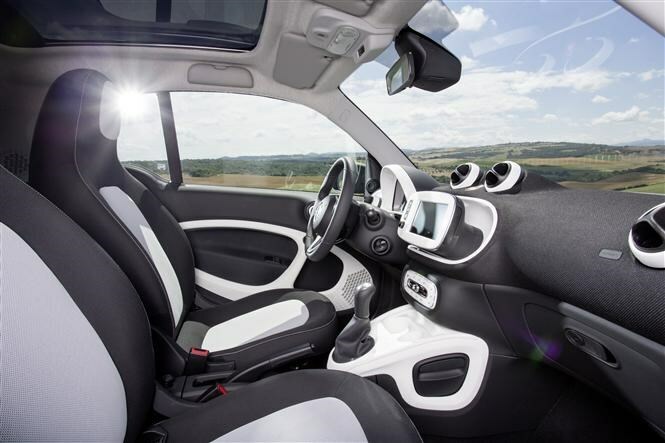 Parkers will be among the first to drive the car and will bring you the full all-new Smart ForTwo and Smart ForFour review before the end of 2014.